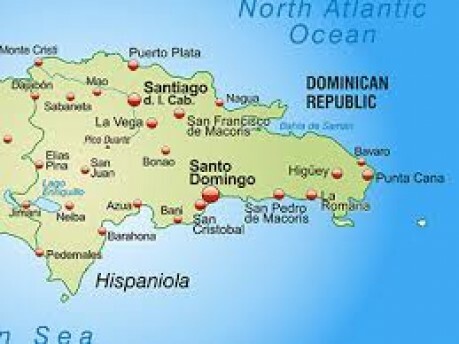 The Dominican Republic is a Caribbean nation that shares the island of Hispaniola with Haiti to the west. It’s known for its beaches, resorts and golfing. Its terrain comprises rain forest, savannah and highlands, including Pico Duarte, the Caribbean’s tallest mountain. Capital city, Santo Domingo, has Spanish landmarks like the Gothic Catedral Primada de America dating back 5 centuries in its Zona Colonial district. Beyond the capital, much of the Dominican Republic is distinctly rural: driving through the vast fertile interior, you’ll see cows and horses grazing alongside the roads, and trucks and burros loaded down with fresh produce. Further inland you’ll encounter vistas reminiscent of the European Alps, rivers carving their way through lush jungle and stunning waterfalls. Four of the five highest peaks in the Caribbean rise above the fertile lowlands surrounding Santiago, and remote deserts stretch through the southwest, giving the Dominican Republic a physical and cultural complexity not found on other islands.